Custom Handmade chandelier hanging chains from light duty to extremely heavy duty (up to eight hundred pounds). Custom color matching to your specifications or existing fixture. 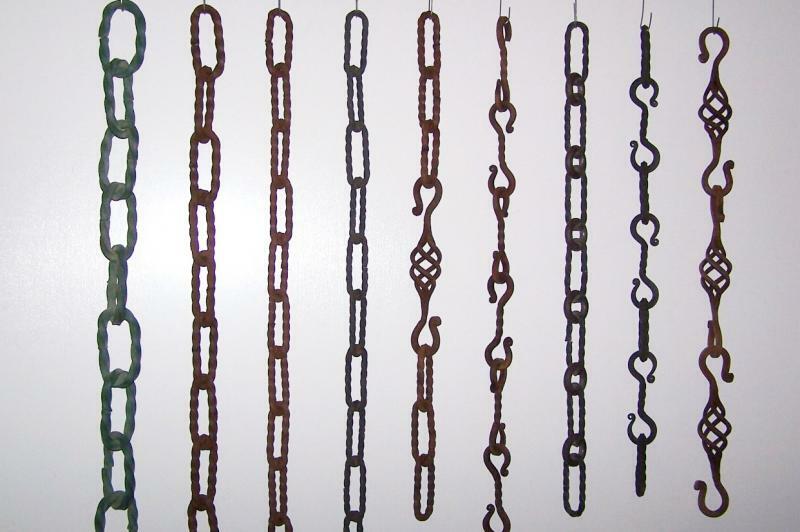 All colors are natural wrought iron patinas or custom colors over iron or brass. Custom handmade canopies to match are also available with heavy duty loops and anchors to handle up to eight hundred pounds. Copyright 2010 M.Shields LTD Vintage Lighting and Restoration. All rights reserved.